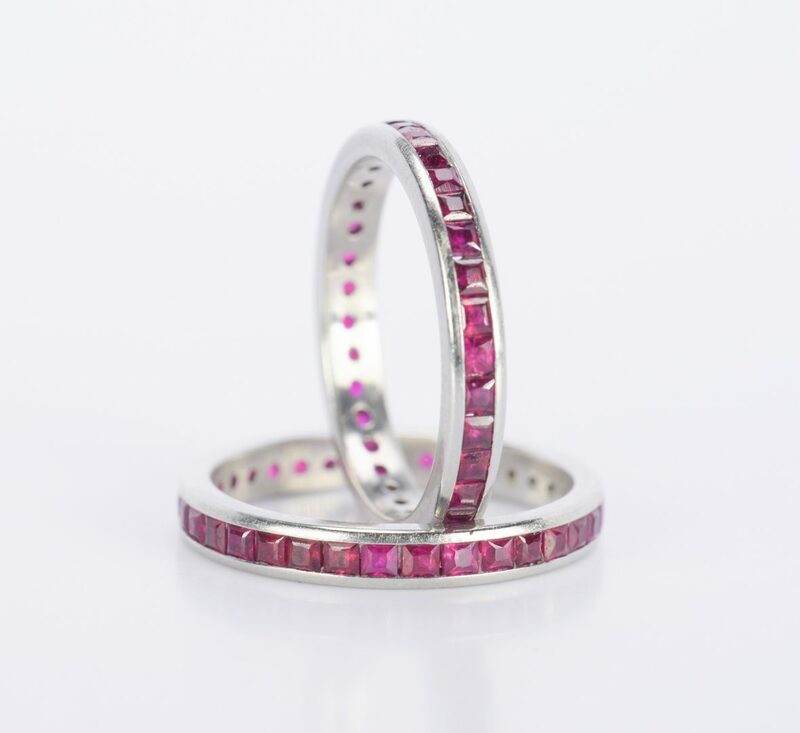 Pair platinum and ruby eternity rings with 34 square step cut red corundum rubies channel set completely around the ring, 3 mm width, size 5 3/4 each. Total approximate ruby weight of 2 rings: 2.50 cts. Ring size 5-3/4. 7 grams total. Estate of Jane McKinnon, Lenoir City, TN. CONDITION: Very good condition with some surface scratches.